I added three species of warbler to my year list yesterday afternoon – Magnolia, Blackburnian, and American Redstart. (Considering we’ve been doing almost all of our birding in the afternoons, not the mornings, my roommate and I have been doing pretty well this spring.) I love redstarts, and I was thrilled when this beautiful male posed for a couple photos. I love that extra flash of orange on the underside of the tail! 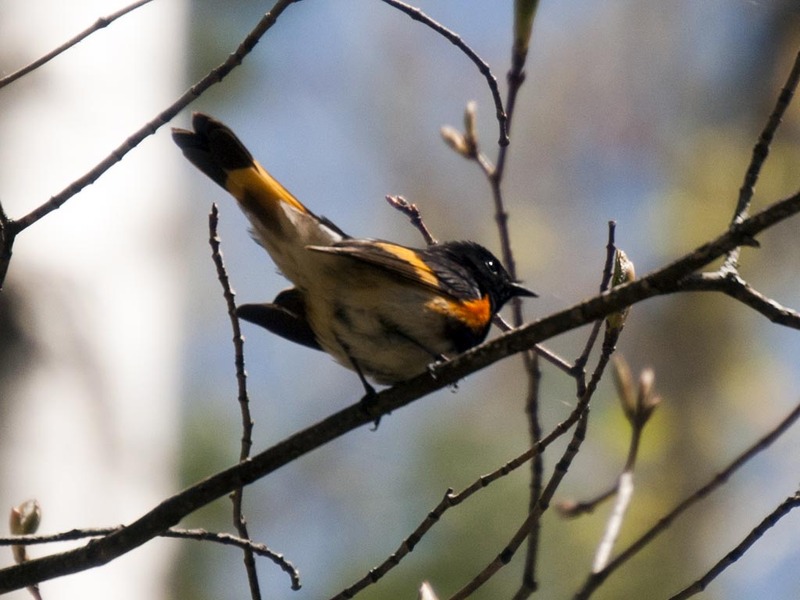 While going over these photos, I started to wonder where the name “redstart” came from, and Wikipedia has given me the answer: “start” goes back to an Old English word for “tail,” so it means a bird with a red tail. Accurate! 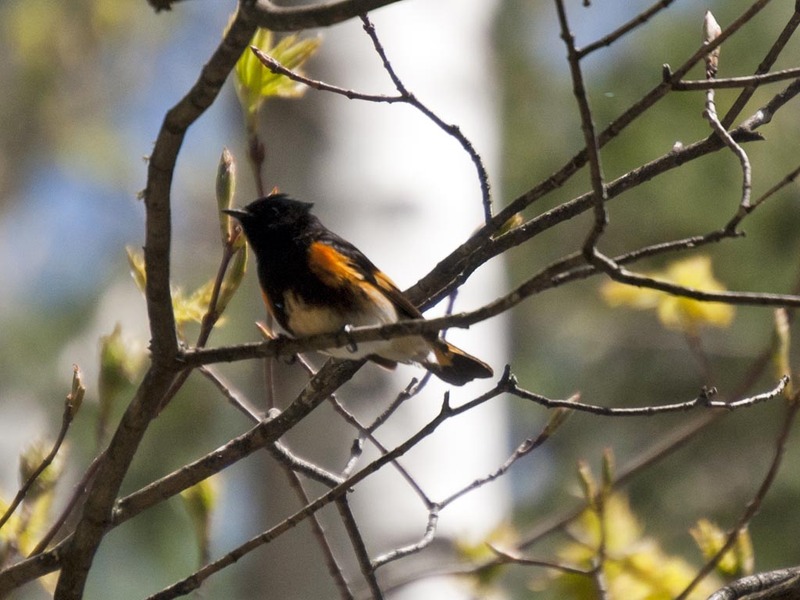 North America’s redstarts are actually named after a genus of Old World flycatchers that share this trait. That’s very interesting about the origin of the redstart’s name. Thanks for that. And you managed some good photos of the fast-moving little buggers too! Congratulations on the photo! Warblers are so small and tricky. I had some luck once when I happened on an inclined road that rose up and approached tree height. It put me closer to the birds so I had to use less zoom. so fun!!! I saw two new birds this year…. scarlet tanager and a yellowthroat warbler. No pictures though…. just a memory for me…. but so amazing! Congrats on your discovery!